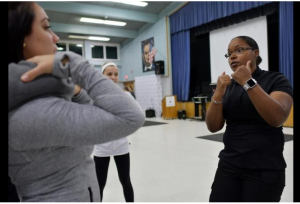 PRINCETON – On the 27-month anniversary of Vanessa Marcotte’s death, about 30 women gathered at the Thomas Prince School to learn self-defense tips and techniques. 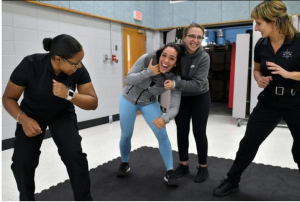 Through a newfound partnership with the Vanessa Marcotte Foundation and the Worcester County Sheriff’s Office, correctional officers coached and taught the participants, all women, in the school’s cafeteria on Wednesday how to react and defend themselves if someone grabs their ponytail or bun from behind, if someone grabs their arm and tries to drag them away, and if an attacker pins them to the ground. Established in January 2017, the foundation is named after the 27-year-old woman who was murdered on Aug. 7, 2016, while walking near her family’s home in Princeton. The foundation has hosted several events in the area, including an annual 5K walk/run that takes place in August. Sgt. Joel Hilditch, a correctional officer, presented safety tips and demonstrated defense techniques. 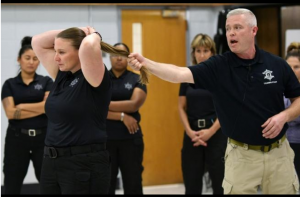 Female correctional officers assisted the participants as they practiced, and at the end of the training, other correctional officers tested participants on their new skills. Wearing protective head and groin-area gear, they had the women use as much force as possible to fend off the officers playing attackers. 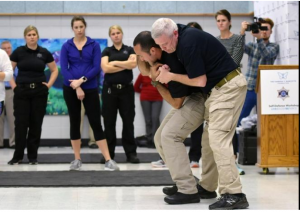 This self-defense course was the first of a “very long-term commitment,” the sheriff said. 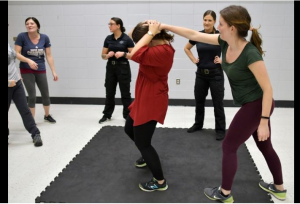 Ashley McNiff, a co-founder of the Marcotte Foundation, said she anticipates similar self-defense courses will take place through the partnership across Worcester County every other month. 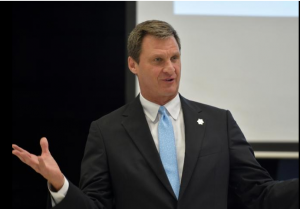 The sheriff said he wanted attendees to leave the event with important safety tips such as notifying family and friends of one’s whereabouts before going out, keeping an earbud in one ear and not both ears, and bringing a friend along for a run or outing. Ms. McNiff said they kept the Princeton class size small as it’s the first of its kind, and they wanted it to go well. 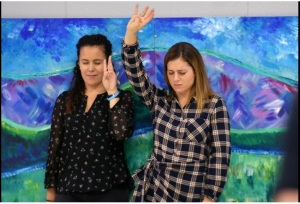 Two friends who attended the class together said they both felt more confident after the class in their ability to fight back if they’re approached by an attacker. “I think it’ll help tremendously with feeling more confident when I’m on my walks,” said Kristin Scott of Baldwinville, whose son was friends with Ms. Marcotte. Ms. Scott’s friend Tanya Allain of Royalston drove about 45 minutes to attend the course and she said she was really happy she participated. “It gave me a lot of confidence to get out of situations I didn’t think I could get out of before,” she said.